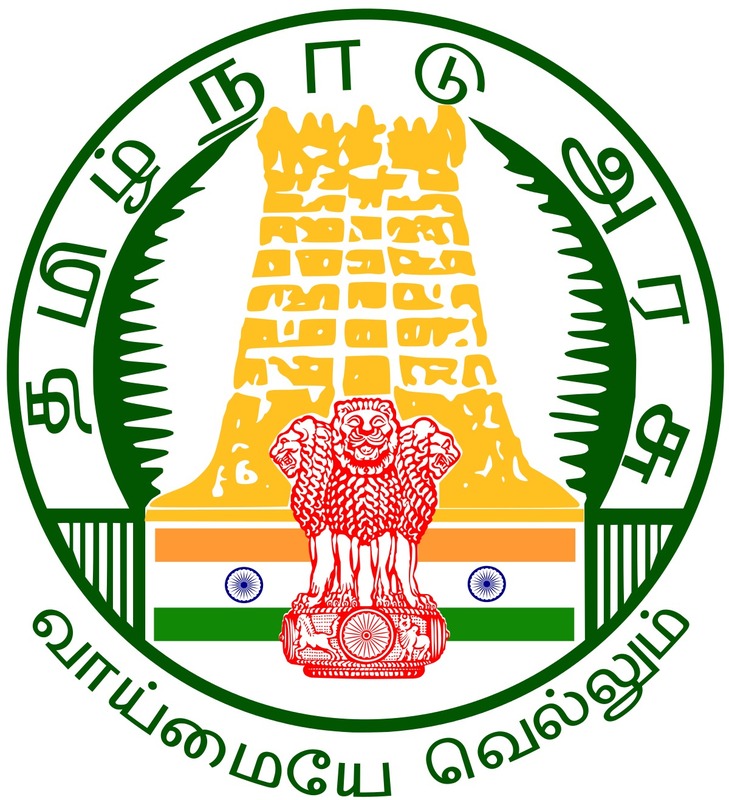 TNFUSRC Forest Guard and Forester Recruitment 2018: The Tamil Nadu Forest Uniformed Service Recruitment Committee has sent an invitation for great vacancies regarding the post of TNFUSRC Forest guard / Forest Guard with License and Forester. There are total 1178 vacancies for TNFUSRC recruitment 2018. All the candidates who are interested to apply for the TNFUSRC Forest Guard and Forester Vacancy 2018 are requested to visit the official website of the Government of Tamil Nadu Forest Department @ forests.tn.gov.in. The registration process for the TNFUSRC candidates would be online and it begins on 15 October 2018. Kindly visit the official website of the Government of Tamil Nadu Forest Department @ forests.tn.gov.in to register. Before you proceed any further please check that you are eligible to apply for the TNFUSRC Recruitment 2018. We have mentioned all the eligibility criteria including selection process and age limit related details in this article. Kindly go through the below details carefully. Ex-servicemen from army, navy or any defense services will be eligible for the forest guard recruitment and forest guard with driving license recruitment 2018. The age limit must be not more than 30 years after deducting the period of services. There are few important subjects and skills required for a candidate to apply for the Tamil Nadu Forest Uniformed Service Recruitment Committee Vacancy 2018. Please check the below table so you can gather details regarding the education qualification needed. Also, we have mentioned the experience you would need along with the education qualification for TNFUSRC forester and forest guard recruitment 2018. Kindly go through the table ahead. 12th pass with chemistry, physics, biology, zoology or botany. Education qualification is not applicable for Jungle tribes. Appointed Reserve watchers after 11/10/1982 & prior to 12/11/1982. A basic knowledge about the general mechanisms of automobiles. Near Vision- 0.5 right eye and 0.5 Snellen for left eye. Disqualification for colour blindness and laser surgery candidates. An approved medical certificate from the District Government Head Quarter Hospital. Transgender candidates are applicable to get special concession. Please refer the official notification pdf attached to the article for further information on the same. Once done with the online examination, successful candidates will be further selected for Physical Standard Verification, Personality test and endurance test in 1:3 ratio for the final round of selection. Forest guard and forest guard with driving license candidates would need to pay a sum of Rs.150 + applicable service charges as an examination fee. Candidates applying for the post of forester need to pay examination fee of Rs.250 + service charges. Payment can be either done online through payment gateway or online generation of Challan for payment at various branches of Indian Bank. There is no offline mode of payment for examination fee. Please consider the online modes as mentioned above. 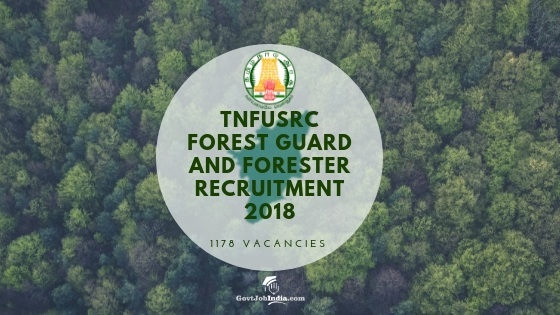 How To Apply for TNFUSRC Forest Guard / Forester Recruitment 2018? Kindly note that the applications are to be accepted online only for TNFUSRC Recruitment 2018. Candidates are requested to follow the same. The photograph and signature must both be uploaded in JPG/JPEG format while applying for the TNFUSRC Recruitment 2018. For further specifications please check the official pdf. Applications without scanned signature and passport size photograph will be rejected. A valid mobile number and e-mail address would be required to register on the official website. Kindly note that you stay alert and active on your e-mail notifications till the TNFUSRC 2018- forester and forest guard results are out. Once registered successfully please log in on the official website @ forests.tn.gov.in and proceed to the option “TNFUSRC requirements”. After that please select the post you wish to apply for from Forester, Forest Guard and Forest Guard with driving license. Carefully enter all the mandatory information and be extra cautious about it as any mistake made would not be accepted and the application might be rejected. Submit the application and save a copy of the same at multiple places so that there is no chance of losing it. Please take the last date of application 05/11/2018 seriously and ensure that you apply before 5:00 PM on the same date. All the decisions made by TNFUSRC regarding the selection would be final and are not subject to amendments. We hope you were able to get all the required information regarding TNFUSRC Forest Guard Recruitment 2018 through the above article. Keep visiting the page so that you can get hold of the latest details that we update here on this page. Let us know any of your doubts or questions on the comment section and we would be happy to help you with that. All the very best to all the candidates!